Dutch Dare Card Challenge is redy with a brand new challenge for you. This time we want you to show us your Birthday creations. Great to see how you interpret the summer colours. This is my card, it's for a boy's birthday. I love this little Dragon holding his balloons. The papers are from Basic Grey. The sentiment is from Raindrop Echo Design. sticked them on to get a 3D effect. There is also a real, small string on all tree balloons. Inside a Norwigan sentiment saying "hugs"
and a sentense from a birthday song. and-of course- my personal stamp. ABC Christmas Challenge is here with a new challenge for you. Use an image/digi stamp more than one year old. Jayne is the host for today. step down from the ABC Christmas Team. Please join me in wishing Jayne all the best. the team some images to play with. The random winner will get 2 stamps from the fantastic store. 'Pheobe with Dove', for my card. 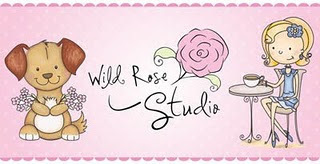 It's a Wild Rose Studio image. ribbon is from a grocery store! The lovely punch is from Martha Stewart. On Pheobe's wings and clothes I have added Stickles. Inside a sentiment from Norsk Stempelblad. As the front with my personal stamp. Check out the great summer sale at Prairie Fairy Designs! Visit the store, it's an offer you won't want to miss. A new challenge is ready at Dutch Dare Card Challenge. but any combination of the above will be great. Thank you to all who joined in last week's "Summer Fun" challenge. were the lucky winner of last week's prize. I have made a birthday card for my youngest son. He turns twelve next month. The "Happy Birthday Gnome" is from Whiff Of Joy. It's the first time I ink him up. The papers are from Magnolia. The edge punch is from Fiskars, and the "Happy Birthday"
embossing folder is from Cuttlebug. I use this embossing folder a lot. Buttons are from Basic Grey and ribbon from my stash. I have used a die from the same place. Some elements from the front on the back. It's their first sketch challenge. this time. I look forwards to be seeing your creations! Make a card without use of design papers. 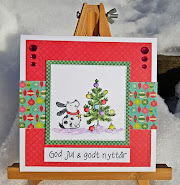 on the ABC Christmas Challenge blog. That's also where you can link your creation. But remember; it has to be Christmas related. I have made my simplest card ever! some ribbon from my stash. On the back side my personal stamp. at jeg lavede et kort nummer to også. hvis du har lyst til at prøve. med en Die Namics die. Tillykkestemplet er Raindrop Echo Designs. Roser og perler er fra Kort og Godt. Endnu en die sommerfugl, og plads til at skrive. ABC Christmas challenge is ready with a new challenge for you. Karen Doodles gives one winner 3 digistamps . 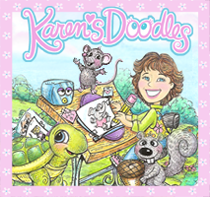 I have used a Karen Dooodles image for my N card. Added a lot of Stickles on her coat, and the snow. The embossing folder is from cuttlebug, the ribbon from Stoff and Stil. The charm is from HobbyHimmelen, my local hobby store. On the back side, my personal stamp. Jeg har lavet et kort til en speciel lejlighed. så meget mere om det. husker ikke hvor det er fra. Roserne er fra Kort og Godt. Kantpunchen er fra Martha Stewart. Revnen til "bæltet" er lavet med min Word Window punch. what's so special with this Friday!! 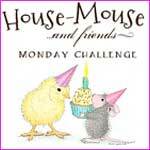 Fairy Fun Friday is ready with a new challenge. Kendra is today's host and she has chosen the theme. who can pick any 5 single images from the shop. Prairie Fairy Designs to see the new sweeties! My team mates have once again made some wonderful cards. Visit the challenge blog if you want some eye candy or inspiration. 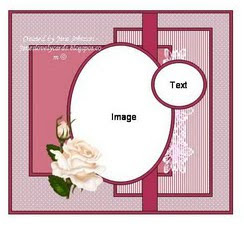 I have used one of the new ones for my card. She is called "Graduate Gilly". I made a graduation card for my best friend's daughter. the white paper. The butterfly is made with a Die Namics die. The text is computer generated. Flowers from my stash, pearls from Kort og Godt Hobby. The lovely border punch is new, It's so beautiful. The sentiment is from Kreativ Hobby. In side a lot of space to write a regard on. The back side is like the front, with my personal stamp. I have used this sketch from Sketch N and Stash.